This hotel has been on the Top 10 list of the best luxury hotels in Montreal for quite a while with affordable price. 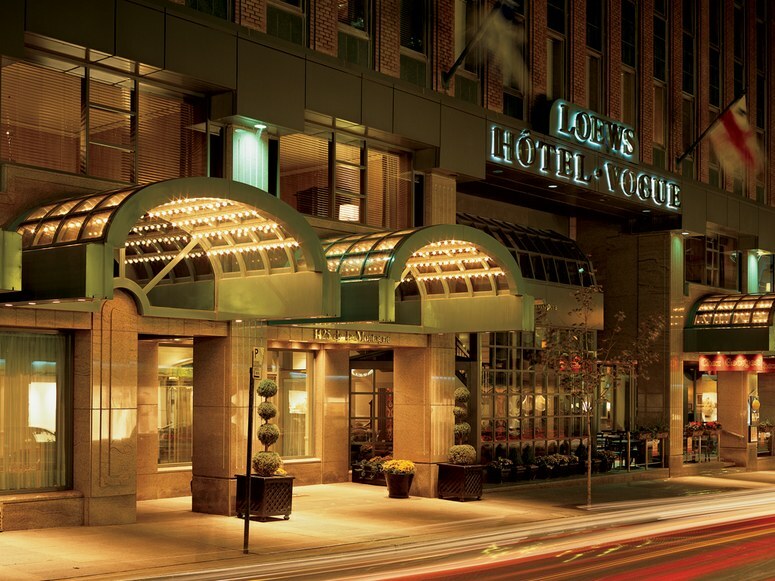 If you want to stay luxury on a tight budget, Loews will not let you down. It is located in the heart of downtown area, with close proximity to many great restaurants and shops. You will never get bored in such a cozy, French-style yet passionate place at night. For tourists, I think the location of this hotel is superb. The check-in was fast and smooth, and front desk staff upgraded me to their executive suite, explaining the FHR benefits that I could have during my stay. Elevator is just steps from the front desk and you have to swipe your room key to start it. Turn-down service is okay, not to the level that I have seen with Ritz-Carlton. You have to ask for slippers if you feel like so. Doorman is very friendly, nothing picky here. As I have mentioned, I had the executive suite room on their 7th floor. It has a very spacious living room as you can see in the photos I have taken. The room has the whole set of furniture that all of a sudden make you feel at your own place. The style of furniture and decoration: old fashioned classic, I bet young people may not buy it as much as mid-age travelers. But in this city, why not bring yourself back a little bit ? There are two washrooms, one in the living room and one in the bedroom. Very satisfied with the space but if only they could add a shower in the main wash room. The bedroom is living up to your expectation at this level of hotel: bed is neither too soft nor too hard that can tailor the need of most people. Mirror is there for those who want to make-up. TV is large enough. During my stay, I used my 100 US dollars of dining credit in their restaurant for super, and enjoyed the complimentary breakfast for two people. Those two are the main benefits that will never let you down if you book through Amex FHR (you will need to have at least one platinum or centurion card before you can use FHR). They have a French style restaurant on the lobby level. I had tried super as well as breakfast. In this neighborhood it is too easy to find a decent restaurant to eat, so I did not have quite a lot of impression on the dinner that I had at this place. Breakfast, however, is another story. I have to say the lobster benedict is a must-try. And they have a good portion so you will not still feel starved after finishing your plate.